Trinity Valley Quilters’ Guild of Ft. Worth, TX held their quilt show last week-end. Guild members challenged each other to create Priority: Alzheimer’s Quilts for the Alzheimer’s Art Quilt Initiative. Fifty-nine guild members created 112 little quilts! The local chapter of the Embroiderer’s Guild (EGA) added 21 quilts that were made by 10 of their members, bringing the total to 133 quilts if my math is correct! What a stupendous effort by organizer Mary Kirwin. 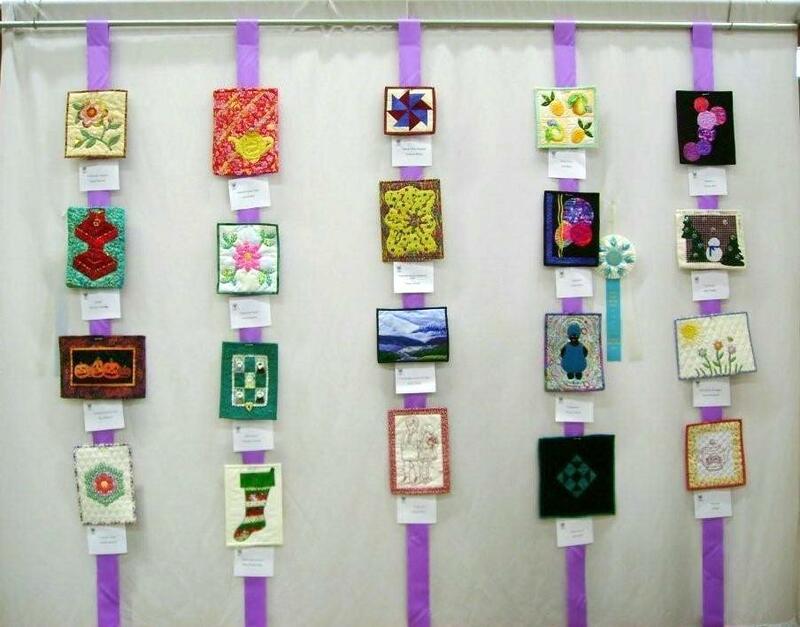 Trinity Valley Quilters’ Guild awarded five cash prizes and ribbons to the winners. Congratulations to everyone who participated. You are all winners! I appreciate each and every quilt that brings us closer to a cure. Entry filed under: AAQI News. Ami, thanks for recognizing our efforts! The display was very well received at our show. This photo is just one of six sections on display. We’re all talking about it on our yahoo group and we feel like we’re on the map!